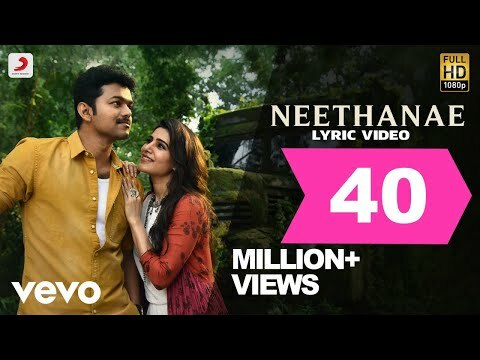 Neethanae Song Lyrics From Mersal , Neethane song lyrics , Neethane lyrics , Neethanae lyrics , mersal song lyric. - Mersal is an Indian 2017 Tamil language period action thriller film starring actor Vijay in triple roles with Kajal Agarwal, Samantha Ruth Prabhu and Nithya Menon playing the female-lead roles. The film is directed by Atlee and co-written by K. V.